2. Two daredevil base-jumpers died over the weekend while attempting an illegal stunt in Yosemite National Park, the LA Times$ reports. 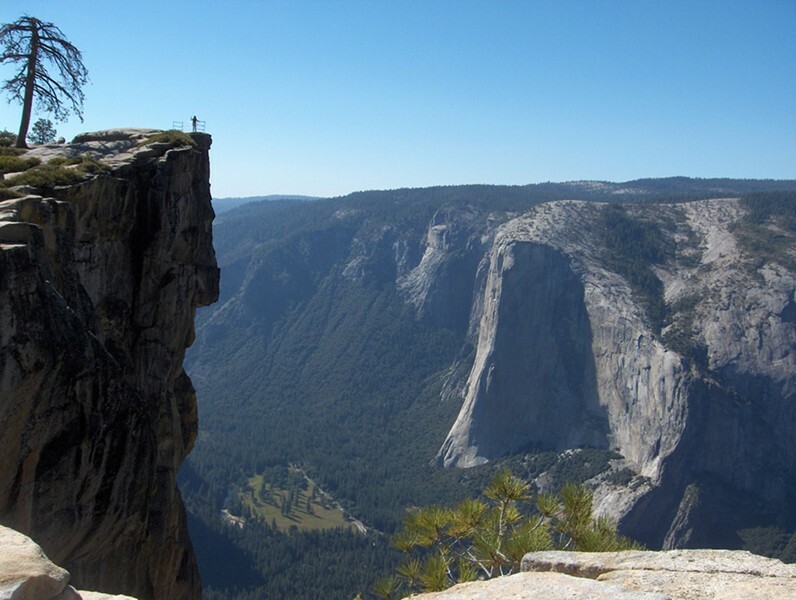 Dean Potter and Graham Hunt were killed while attempting to leap over “the notch,” a rocky ridge line on Taft Point, about 3,000 feet above Yosemite Valley. Base-jumping is unlawful in Yosemite because it’s considered too dangerous. 3. Police agencies around the Bay Area, including Oakland and Berkeley, regularly use taxpayer funds to send cops to out-of-state funerals for officers slain in the line of duty, the Bay Area News Group$ reports. Oakland police spent about $10,000 in public funds, sending four cops to police funerals in New York in December and January. 4. A developer is proposing to build a seven-story mixed-use building on Telegraph Avenue in Berkeley that would include no parking, Berkeleyside reports. The development, at Blake Street, seeks to promote biking and walking and discourage car use, and would include a bike space for each of the 76 housing units, but no parking spots. 5. And police arrested 192 members of violent biker gangs in Texas following a brazen shootout that left nine people dead and eighteen injured, The New York Times$ reports.